Whimsical Art Nouveau & Angelic Art for Classical Souls. Like my art? Sponsor me on Patreon to receive exclusive updates & Rewards! Found in major book stores near you! Also available digitally via Amazon! Like my art? 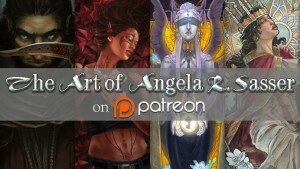 Join my artistic journey and pledge today on Patreon for exclusive rewards!